Product prices and availability are accurate as of 2019-04-23 16:11:53 UTC and are subject to change. Any price and availability information displayed on http://www.amazon.com/ at the time of purchase will apply to the purchase of this product. "Lady Byng died in Boston" read a sign in the Garden arena in 1970, a cheery dismissal of the NHL trophy awarded the game's most gentlemanly player. A new age of hockey was dawning. For 30 years, hockey was an orderly and (relatively) well-behaved sport. There was one Commissioner, six teams and five colours--red, white, black, blue and yellow. Oh, and one nationality. Until 1967, every player, coach, referee and GM in the NHL had been a Canadian. And then came NHL expansion, the founding of the WHA, and garish new uniforms. 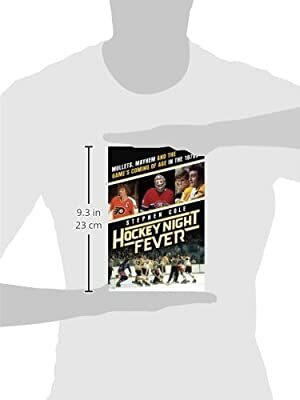 The Seventies had arrived: the era that gave us not only disco, polyester suits, lava lamps and mullets but also the movie Slap Shot and the arrest of ten NHL players for on-ice mayhem. 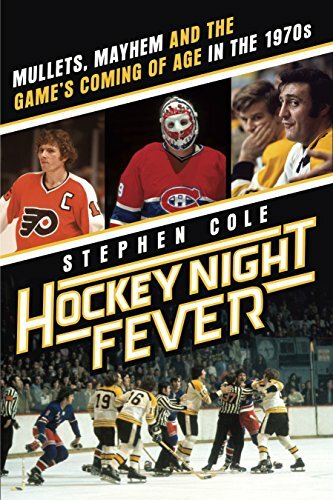 But it also gave us hockey's greatest encounter (the 1972 Canada-Russia Summit), its most splendid team, the 1976-77 Montreal Canadiens, and the most aesthetically satisfying game--the three-all tie on New Year's Eve, 1975, between the Canadiens and the Soviet Red Army. Modern hockey was born in the sport's wild, sensational, sometimes ugly Seventies growth spurt. The forces at play in the decade's battle for hockey supremacy--dazzling speed vs. brute force--are now, for better or worse, part of hockey's DNA. This book is a welcome reappraisal of the ten years that changed how the sport was played and experienced. Informed by first-hand interviews with players and game officials, and sprinkled with sidebars on the art and artifacts that defined Seventies hockey, the book brings dramatically alive hockey's most eventful, exciting decade.